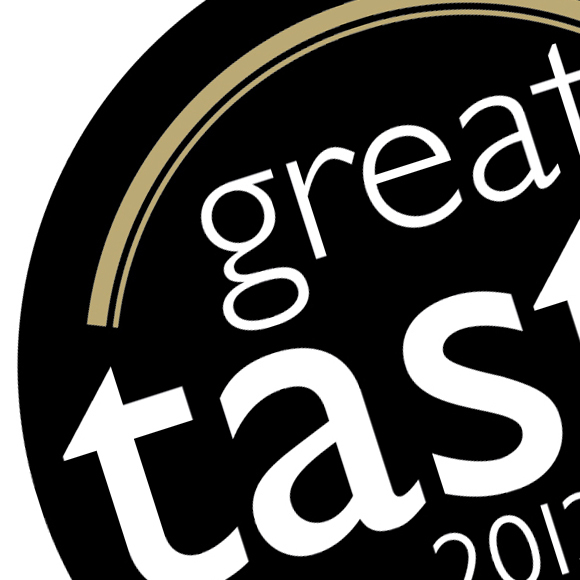 In 2011 I wrote about my experience of being one of the Great Taste Award judges and the judging process. The awards have just been announced for 2014 so I thought it was worth sharing how the process works and what the stars ‘mean’. In 2014 there were a total of 10,000 entries and from these 2531 were awarded 1 star, 697 awarded 2 stars and 153 awarded 3 stars. A 50 best was also announced and from these the overall winner will be selected on 8 September. That’s not that many stars really is it, just over 1/4 of entries. ….when the they’ve had chance to catch breath planning how to maximise the benefits that being a GTA star product can bring. And for those who didn’t get stars or got some but not for all their entries well then there is perhaps some thinking to do about how or whether to tweak the product in the hope of futures stars. With this in mind I thought it would help anyone who has entered or thought about entering or even decided not to enter to tell you a bit about the judging process from the perspective of being a judge. In 2011 I was part of the team of judges for the 4 ½ days of judging in London. It was my first time as a judge and it was fascinating. I was a judge again in 2012 but wasn’t able to make any judging sessions in 2013 and 2014. I hope to be back in 2015. Each day a whole range of products are amassed for the judges to try. Judges are grouped on tables of 4 or 5 and have roughly 25 items to taste in a 2 hour session. Well that’s the items allocated to a table but actually you taste more that that because as soon as something is thought star worthy it passes round other tables to be assessed and also to the moderators table. All items are tasted blind, the judges don’t know who the producer is just the category and a short description. Each table has a real mixture of items of sweet, savoury, drinks, cold, hot. At first this feels like it won’t make sense but actually works well because your palate doesn’t get raspberry jam fatigue or similar. The variety means that you can taste everything properly and therefore assess it properly. And the tasting blind means you can’t judge based on branding just simply on taste. So the judges taste each item and really you know pretty much straight away if you think something is star worthy. The table chats about what they think so we can leave (hopefully) useful feedback even if there are no stars. And if JUST ONE PERSON on a table thinks something is star worthy then off it goes for further assessment. The whole table doesn’t have to agree (often it does but not always) if one person thinks its star quality then it goes off. I think this is really important because people have different palates and the one person rule means its very unlikely that something fab gets missed. The table send it out with a suggested number of stars BUT can’t send it out suggesting 3, the maximum you can suggest is 2 with a possibility it might merit three. Off it then goes around the room and to the moderators and finally comes back with a star rating, sometimes though it comes back with a ‘no we didn’t think it worth a star’. Its been tasted by at least 12 people to get to this stage and more to get awarded 2 or 3 stars. Why are so few stars awarded compared to entries? Does this means there is lots of rubbish entered? No. The vast majority of what is entered is of a very high standard and in fact the assumption is that everything is star worthy (that’s why the producer entered it) and we ‘grade’ from that position up or down. and 3 is ‘wow wow wow can I steal the sample and take it home, this is amazing, I’d knock people out of the way to get my hands on this’. So lots of the products are very nice but far fewer meet the real wow factor…so if you have stars you really should be thrilled because you genuinely have got a great tasting product. If you didn’t get stars then the feedback should give you a feel as to how close you might have been, it won’t say explicitly but the comments will help you know. In 4 ½ days I only encountered a handful of really not great product out of what must have been 300+ things I tasted. And when you taste a 3 star it really does stand out and of course when one is confirmed the whole room gets excited. The judges are a mixture of people from the food sector: deli owners, food PR, food writers, producers and that makes for great cross section of people. Each session you are on a different table so you don’t just sit there and judge with the same people all week you get rotated round and that’s useful too. Hearing what other people think of the products and why really adds to your understanding of good food. I think overall the process works really well, I think there is limited possibility of something getting missed and I’ll deal in my top tips post with how or why something might get missed. I like the fact it doesn’t judge pie A vs pie B and decide which is ‘best’ it is simply saying this tastes great. So I think that if you got stars then you really should be thrilled because your product isn’t just good its great. If you’ve got stars flaunt them, if not then watch out for my top tips post next week. See the 2014 results here and find out more about how the awards work here.